This April, SM Cinema is standing with Earth’s mightiest heroes as the Philippines’ largest film exhibitor kicks off its Avengers: Endgame campaign. 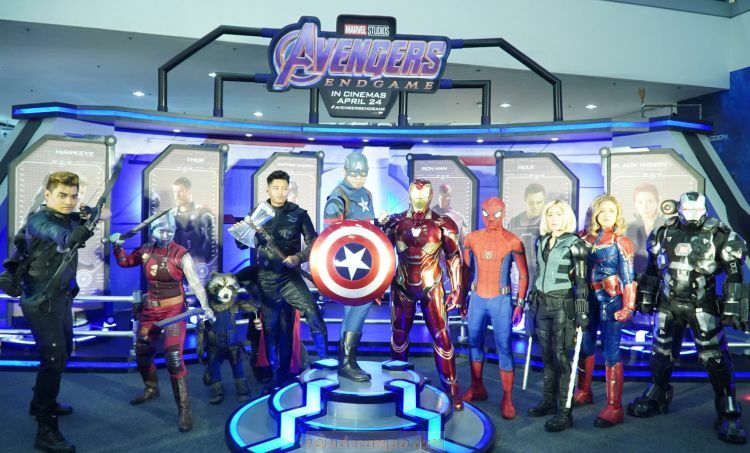 SM Cinema and The Walt Disney Company Philippines has recently launched the Avengers: Endgame Experience interactive exhibit at the SM Mall of Asia – Event Atrium. Marvel fans got a chance to stand with Earth’s mightiest heroes and avenge the fallen ones at the Avengers interactive exhibit to celebrate the movie’s arrival in the Philippines. SM Cinema has put together an exciting lineup of activities for mall-goers and fans alike! Walk through the entrance of the New Avengers Facility, heed the call for new heroes, and stand with our remaining Avengers. Test your strength and endurance in the different Activity Zones: shoot the arrows like Hawkeye and Black Widow at the Bullseye Station, measure your strength like Hulk and Thor at the Power Up Station, lead the team like Captain America at the Train Like Cap Station, and endure to the end like Iron Man at The Armory Station. Don’t forget to take a photo at the famous Avengers emblem found at the heart of the Avengers: Endgame Experience. Cap off your training at the New Avengers Facility and show your support for Earth’s mightiest heroes by taking home premium merchandise from Toy Kingdom and The SM Store. 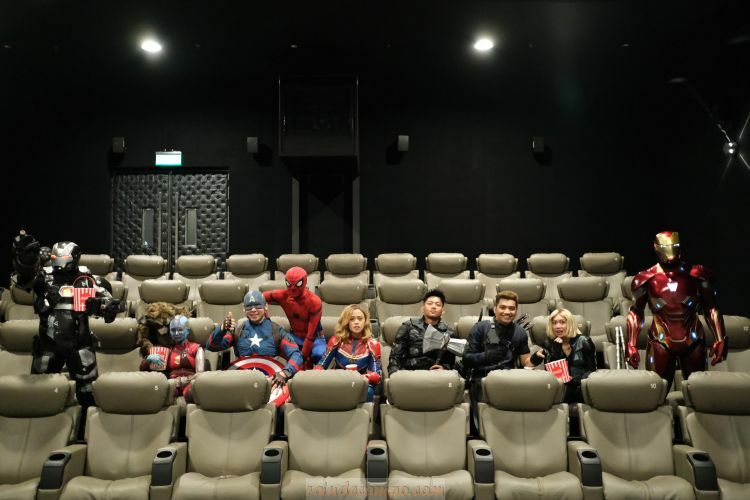 Change the fate of humanity and take part in the Avengers: Endgame Press Junket at South Korea with blow-by-blow coverage from SM Cinema with social media and TV personality Mikael Daez using the hashtag #AvengersAtSM and #SMCinema. Gracing the jampacked Press Junket in South Korea are Robert Downey, Jr., Brie Larson, Jeremy Renner, and directors Joe and Anthony Russo. Finally, save all of humanity and get the full Avengers: Endgame Experience when SM Cinema’s interactive exhibit goes around the country on these dates: April 2 to 14 at SM Mall of Asia, April 16 to 28 at SM Megamall, and April 13 to 19 at SM City Clark. You can also answer the call and stand with Earth’s mightiest heroes online using the hashtags #AvengersAtSM and #SMCinema. Catch Marvel Studios’ Avengers: Endgame beginning April 24 at SM Cinema, SM Cinema IMAX, and Director’s Club Cinema branches nationwide. Skip the lines, get the best seats in the house, and save as much as P20 by getting your tickets via www.smcinema.com or the SM Cinema App. Don’t miss the latest digital promos and online activities by subscribing to SM Cinema on facebook.com/SMCinema, twitter.com/SM_Cinema, and Instagram.com/SM_Cinema.